It's a common phrase, if you expect too much, you will only be disappointed. This blog talks about expectations can adversely effect your match-play and mentality. We have seen plenty of upsets where the pressure got too much for players 'chokes' from substantial leads. Ma Lin had significant leads in a handful of WTTC finals but always ended up losing and as a result never became World Champion. This is just one example of an incredibly number of issues that can come from expectations and can really harm your game and ability to perform and remain mentally strong in competition. Have you ever played a match where you were the favourite? How about an event where you are the top seed? How does the pressure change in these situations? Usually you feel either an immense anxiety or nervous feeling, going into a match with these feelings can be detrimental, or a steady confidence. I for one always feel additional pressure in an event where I have been listed as the 'expected' winner (top seed). However it is important to truly believe in the concept of 'right here, right now'. Anyone can play amazingly on the day, upsets are a common occurrence, every match can have its challenges. Never underestimate an opponent who is out there with a desire to win. That is what competition is all about, everyone is battling for the same thing. Where Does Expectation Stem From? - Increased Training: When you begin to train much more and more seriously, players can expect to see results immediately. They feel the additional effort and hours should translate into results, they expect to see improvement. - Higher Rankings: Players who hold their ranking close to their heart can grow to expect to beat lower ranked players and become upset when they lose to a 'lower ranked player', this is common in young developing players. - Holding a Lead: When victory is almost upon you in a match and you have a significant lead, you might expect everything to go in your favour. It doesn't always happen. Tactics change and players adapt and focus wavers and fluctuates. Having the upper hand in a match doesn't mean you should expect the match to fall in your favour. I see these as three main fuels to the fire of expectation. Notice expectation is most commonly results based, tournament and league results. We feel expectation the most when the matches really count for something. - Increased Training: It's an age old saying - Good things take time. Sometimes training improvements can take longer periods of time to translate into results. That can be frustrating but failing to address that simple truth can cast dangerous doubts over your training regime and why you are putting in the effort if not to get immediate benefits. This blog on Why is My Training Level Better than my Matchplay Level? may also offer you some help on improving the transition of skills. The most important thing is to have patience. It is also crucial to ensure you are practicing the right things, evaluate the links between your match performances and your training plan constantly. - Higher Rankings: An important thing to remember is that a ranking is only a reflection of the previous times you have played, these numbers change all the time, maybe they go up or down a lot, maybe they are more stable. Each time you go out on the table you should think of yourself as a zero rated player. You need to have the same desire to beat everyone, no matter what their level is. At the end of the day they are standing between you and victory and all of them are the same in that regard. Here I wrote a blog on How to Win Consistently Against Lower Players which gives some insights and exercises/match drills which can help you improve your game against lower 'ranked' players. - Holding a Lead: This can be a big mental buster for some players, they are winning a match and all of a sudden they end up losing. It is vital to try and not consider the score during a match. Knowing the score can have a psychological effect on you, for example if you have lost 5 points in a row and it was 10-5 and now it is 10-10. Being conscious of the score can hurt you. Try to focus on one point at a time and play by your game plan. Focus on tactics and awareness of changes, observe and analyse. Your focus is much better spent here than on the scoreline. Some players can also get complacent and lose focus completely when they are further ahead. Opting to lob or make silly shots without thinking. On the flip-side a player can try and finish the match off quickly and overplay the ball. Here is a piece from my Coaching Blog called Why Do I Always Lose When I'm Winning? with some advice on trying to fix holes in your mental game and tactical game. Anything is possible at any time until the match is over! One of the hardest things to learn is not to play for results but to play your best. It sounds cliche and easy in theory but it's not. If you focus on playing your best table tennis and give your thought to the game then you gain some immunity to the deflating effects of expecting good results and coming home with nothing. Disappointment is something all of us have felt before and it can be a very devastating feeling for your ambitions, your training ethic and performance in matches (mentally). A buildup of disappointments can cast some serious doubt on everything, even your love for the game of table tennis. It can be very hard to come back from! The simple fact is, if you go out to play your best table tennis and don't focus on the end result, you have a much better chance of finding your best form. And let's face it, if you find your best form then that is literally your best chance of winning on the day. So play for the moment, forget the expected outcomes or the impending results and just keep your head screwed on until you are out of the playing area. If you can do that you will find a new confidence in your abilities, regardless of individual results. Focus on the bigger picture! 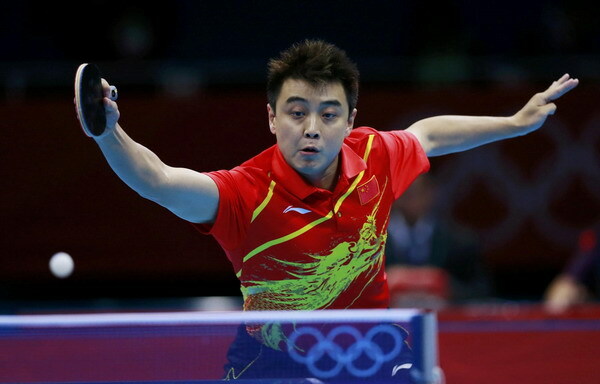 Table tennis is one of the most thrilling and amazing sports. I have always wanted to learn it but never gathered the courage to go for it. After joining this blog I am really thinking to learn and play this game.